Japanese director Yoshimitsu Banno, who made his debut with Godzilla vs Hedorah in 1971, died of a subarachnoid hemorrhage at his home in Kawasaki on Sunday. He was 86. 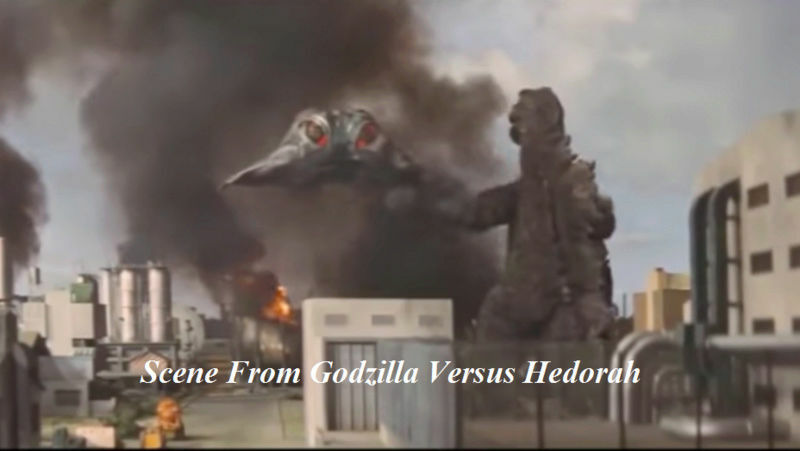 Released in the United States in 1972 as Godzilla vs. the Smog Monster, the film was the 11th in the Godzilla series and featured an anti-pollution message, following the anti-nuclear messages of the earlier films. Banno, who joined Toho in 1955, also acted as an executive producer on Legendary Pictures' 2014 take on the iconic Japanese monster franchise. While at Toho, he acted as an assistant director on four Akira Kurosawa films, including the classic Throne of Blood (1957) and The Hidden Fortress (1958), which George Lucas acknowledged as a major influence on Star Wars. Banno also wrote scripts for 1980s anime features Techno Police 21C and The Wizard of Oz. Goodnight, sweet prince. I'm still cheesed off that Godzilla vs. The Smog Monster got snubbed at the Oscars. One of the greatest injustices that has ever occurred in tinseltown! They gave the Oscar to "Patton" that year. It's not even a monster pic!